Tomato -- chopped -- 1 no. In a pressure cooker add the washed mutton, turmeric powder, 1 tbsp GG paste,tomato ,little bit of salt and add 3 1/2 cups of water , cook it for minimum 7 minutes. Soak the basmati rice for 10 minutes and fry them in half a tbsp of ghee for 2 minutes and keep aside to cool. Now take a big wide kadai &amp; pour the 2 tbsp ghee +1 tbsp oil and make them hot. Add the Cardamom, cloves,Cinnamon and fry them . Be carefull ,it will splutter. Add the onions now and fry till it leaves moisture. Throw in the GG paste and stir so that it doesn't stick. Now add the ground powder from table 2 and fry for a minute . Add the mint leaves now and scald well. It's time to mix our table 3 ground paste into the kadai and stir once. Keep it covered and wait for few minutes till it oozes oil out . At this stage , open it and dump in the coriander powder. Scald well and keep aside. Well, this is our main masala for biriyani.. C, there are lot many choices to cook biriyani, one prefers pressure cooker, the other prefers directly in the kadai like me.. , some may prefer going for electric cooker. It's all upto ur convenience. Add the main masala into the pressure cooker along with the mutton and mutton soup mixture. Check for the salt and add the required amount.Combine well ,close it and cook for ONLY 1 whistle as our mutton is precooked (it doesn't need more time that makes biriyani soggy) and keep the FLAME LOW for 3 to 5 minutes (this process is similar to dum ). and switch off.Now comes the crucial part so guys ,handle it well. 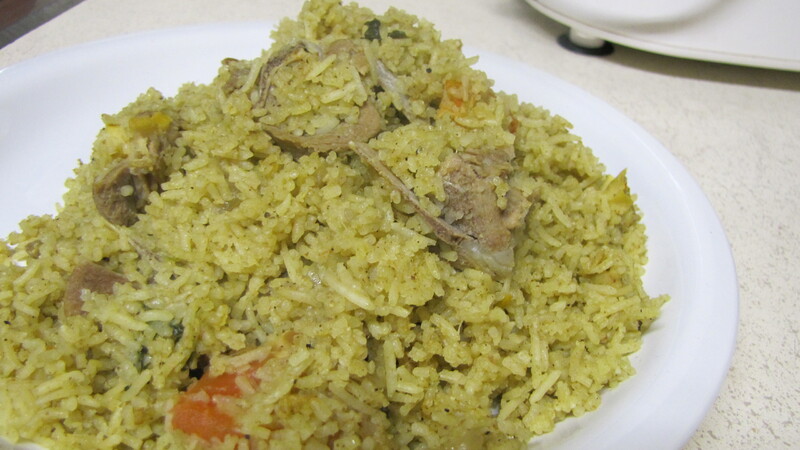 Open the cooker once the pressure is gone and slowly take out the biriyani without breaking the rice&amp; njoy !!!!!!!! Add the mutton +soup mixture along with the main masala, Check for the salt and add the required amount and give it a boil. Once it starts boiling, add the fried rice and combine well. Keep the flame in the medium,cover it and cook for 5 minutes, by then, rice will be 3/4 th cooked. 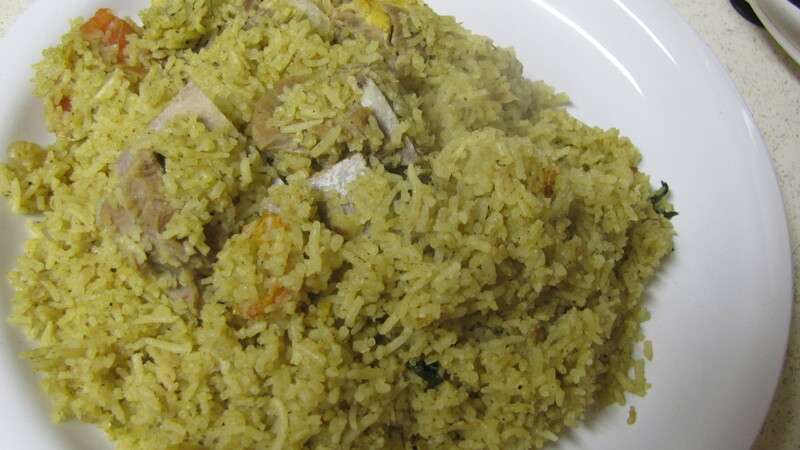 After five minutes, Stir the biriyani once and reduce the heat to medium low and cook for 10 minutes. Once the time has elapsed, switch off and take the kadai out from the heat and slowly take the rice out. Mix everything like mutton + soup mixture, main masala ,Fried rice, required salt and keep it in the cooking mode. Once done cooking,it will automatically coames to warm mode. Keep it in the warm mode for few minutes and switch it off. I did go for kadai method and my biriyani turned out good. But my rice would be bit broken as my hubbie requested me to make it slightly mushy...He believes the dish tastes good being mushy ..wat to do he likes it that way ??!! Serve the Biriyani with raita and njoy. Just waiting to try this recipe because this looks exactly like the one my grand mom used to make when we were kids..but unfortunately i don't know the recipe..so my doubt is i've got chicken in my freezer so can i try the above recipe with chicken.